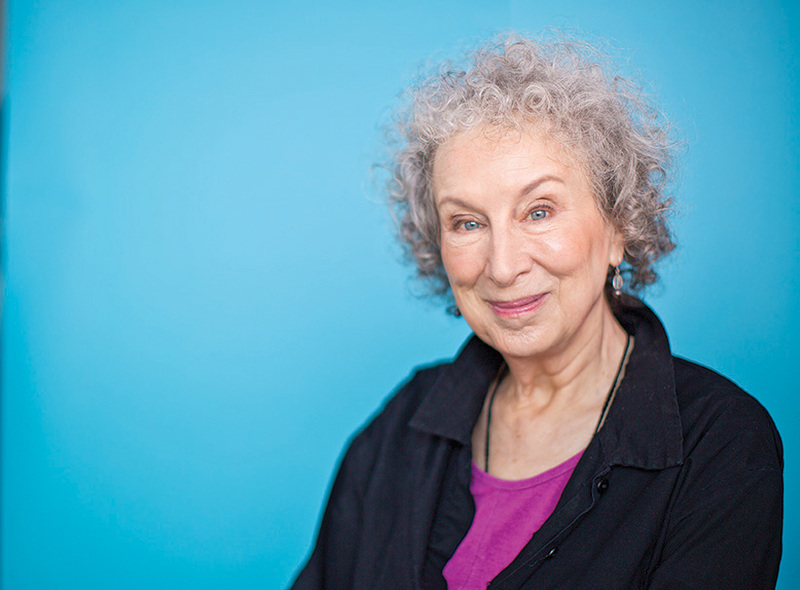 Canadian-born poet, essayist, and novelist Margaret Atwood (born Ottawa, Ontario, Canada) 1939) is currently enjoying renewed popularity these days thanks to HULU's production of "The Handmaid's Tale" and NETFLIX's production of "Alias Grace." Her depictions of dystopian societies hits home in this time of Boko Haram and ISIS. 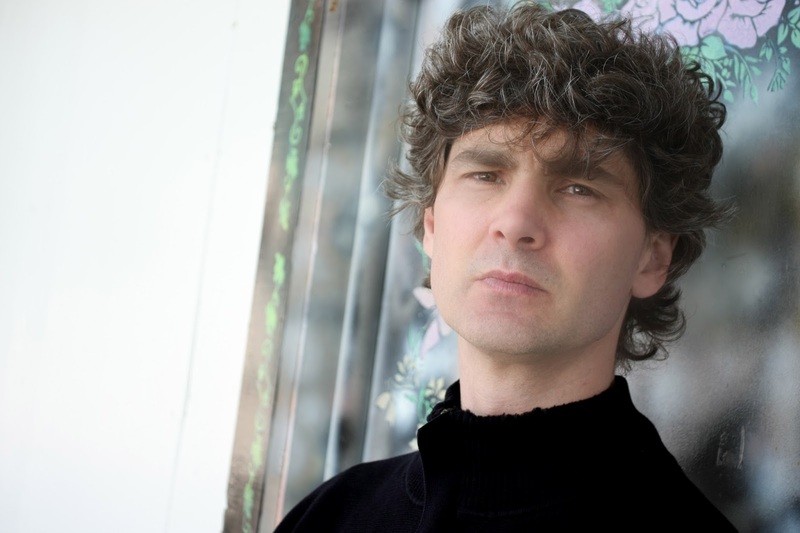 Before her novels became popular, she wrote numerous volumes of poetry and that's where composer and saxophonist Andrew Rathbun (a native of Toronto, Ontario, Canada) has concentrated his attention. He has taken several poems written 40+ years and created a pair of suites that are part of an ambitious project that takes Ms. Atwood's poetry and his music on a fantastic voyage. 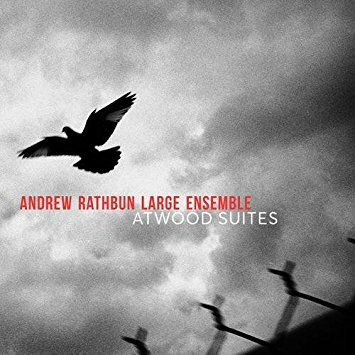 "Atwood Suites", featuring the 16-member Andrew Rathbun Large Ensemble and released by Origin Records, is a fascinating two-CD sonic adventure. 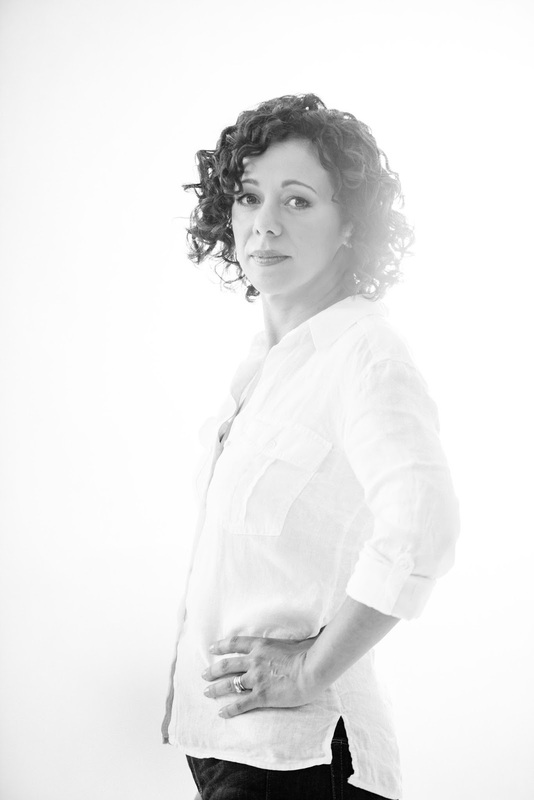 Joining the ensemble for the first CD is vocalist Luciana Souza and soloist Tim Hagans (flugelhorn): one can hear the influence of Kenny Wheeler especially on "Power Politics I-III" , a piece the late trumpeter/flugelhornist performed with Rathbun after their 2002 Fresh Sound New Talent collaboration "Sculptures." One can hear tinges of Wheeler in Hagan's impressive solos and his the horns and brass interact with him plus the fine rhythm section - Nate Radley (guitar), Jeremy Siskind (piano, Fender Rhodes), Dave Ambrosio (bass), and Bill Stewart (drums) - that pushes the music forward. The sectional work throughout is impressive (a full list of the personnel is below). While Hagans is the principal soloist on disk one, there is also sterling performances from saxophonists Quinsin Nachoff (tenor), Dan Pratt (tenor), John O'Gallagher (alto) plus trombonist Mike Fahie and guitarist Radley. The "Suites" succeed on many levels but pay special attention to the tremendous vocal work of Ms. Souza (pictured left). Oftentimes, this combination of large ensemble, poetry, and vocals can sound pretentious or stodgy but, the singer inhabits the poetic fragments that tell of the interaction of men and women, of love and being subsumed in relationships There are also moments when Ms. Souza sings wordless lines alongside one of the sections. Her voice glides, the words flow, sometimes, there is fire, other times, subtle interactions with the musicians. After a lovely reed introduction, "Two Islands" opens with just voice and piano: the melody is lovely (Siskind is a fine accompanist) perfectly suited for Rathbun's long and supple melody line. Hagan's burnished tone and lyrical solos stand out in fine contrast to the vocal, the sectional work, and Stewart's powerful push. Disk two opens with "Fractured", a perfect title for the jagged melody that introduces the piece. Aubrey Johnson wordless vocals support the melody, serve as counterpoint on the Fender Rhodes solo, and float effortlessly along with the sectional work. Owen Howard takes over for this track and the first one of there suite below and his solid, swinging, style gives the tracks an excellent boost. The final three tracks are also part of suite Rathbun composed in 2012 (they were first performed that year). Presented out of order, - "V", "I", and "II" features sumptuous melodies, two separate compositions that open with "chorales" ("V" with just reeds, "II" with reeds and brass), and all three take time to introduce thematic material before heading into solos. This is music that, at times, seems to float (the influence of Kenny Wheeler's "airy" sound permeates "I") and the use of the different sections (notably the range of the various reeds, including flutes) of the band alongside the voice is creative and satisfying. "Atwood Suites" is serious music yet such a joy to sit and listen. Andrew Rathbun has taken his time to create a program that takes several of his older pieces and the use of a larger ensemble gives him more possibilities. With the help of his co-producer George Schuller, he's made music that will stick to your mind even as it takes you out of the everyday. For more information, go to andrewrathbun.com. 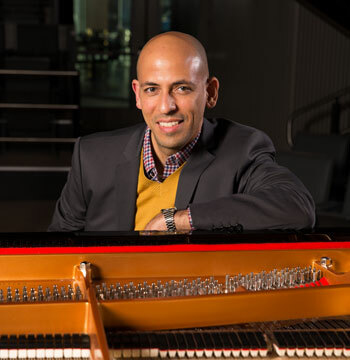 Pianist, composer, and arranger Edward Simon came to the United States from his native Venezuela to study music at the Philadelphia Performing Arts School when he was 12 years old! After his graduation (at the age of 15), he went on the University of the Arts (also in Philadelphia, PA) to study classical music before heading to the Manhattan School of Music to study with jazz pianist Harold Danko. By the age of 21, he was already working with musicians such as saxophonist Bobby Watson before going on to spend eight years in the Terence Blanchard Group. Simon has also created several groups, most notably Afinidad with co-leader alto saxophonist David Binney. 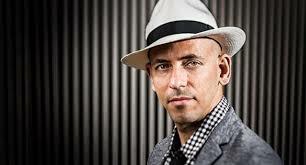 In 2010, he took over the piano chair in the SF Jazz Ensemble (from founding member Renee Rosnes) and in 2012 became a member of Ninety Miles, a cooperative featuring vibraphonist Stefon Harris, trumpeter Nicolas Payton, and saxophonist David Sanchez. "Sorrows & Triumphs" (Sunnyside) is his 13th release as a leader. The program consists of two suites, one that bears the album's title and another titled "House of Numbers" - there is also one track, "Incessant Desires", that was written for the SFJazz Collective. Musicians include Afinidad (Binney, bassist Scott Colley, and drummer Brian Blade) plus guests Gretchen Parlato (vocals, lyrics), guitarist Adam Rogers, plus percussionists Rogerio Boccato (two tracks) and Luis Quintero (three tracks). In an inspired move, instead of typical reed and brass sections, Simon invited the Imani Winds chamber ensemble and wrote a number of smashing arrangements. 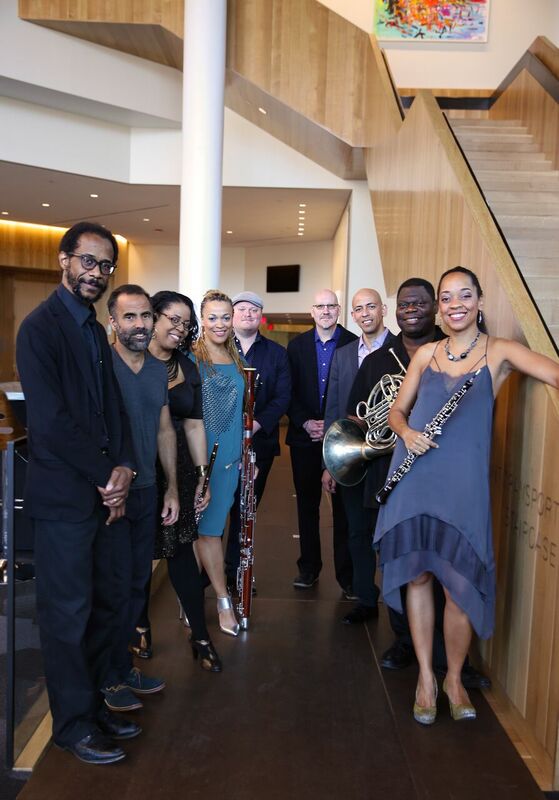 Imani Winds, whose music covers a wide swath of musical territory (from includes Valerie Coleman (flute), Toyin Spellman-Diaz (oboe), Monica Ellis (bassoon), Mark Dover (clarinet), and Jeff Scott (French horn). There is quite a flow to this music, one that seems to run through every tune. Even ballads such as "Chant", the music flows gently from Ms. Parlato's whispery vocals to Binney's alto sax to Imani Winds. The restraint that Blade and Colley show as the music moves forward, not forcing the movement but allowing the piece to open up slowly. It's such a joy to hear the rhythm section take pieces such as "Equanimity" and the album opener "Incessant Desires" and guide the musicians forward (dig the bassoon echoing the bass lines on parts of the second track). Also, note how Simon supports the alto sax solo before the voice and the winds return. On the former track, Rogers moves out of the ensemble to create a splendid solo, melodic and quite rhythmic - Blade shines as he reacts to the solo and pushes him forward. "Triangle" is a funky piece not just because of the great percussion work of Blade and Boccato but also because the horn arrangement and Simon's dancing piano have such a delightful joie de vivre. "Venezuela Unida" opens with a short wind intro before the bass, drums, and congas/shakers drop into a sensuous rhythm. The melody dances along atop the bubbling bottom (reminiscent of Weather Report circa 1976). Compare this version with Simon's arrangement for the new SFJazz Collective "Live: SFJazz Center" (released 4/13/2018) - the arrangement is quite similar but Blade and Quintero push the piece a bit differently than Obed Calvaire and Warren Wolf do: both versions are delightful. The album closes with the enchanting "Triumphs" with Ms. Parlato delivering a lovely vocal after Colley's opening bass solo. The hypnotic rhythms, the breathy saxophone, the quick, circular, figures played by the piano, all combine to draw the listener in. If you listen closely, you hear Rogers's clicking guitar in unison with piano. Also, there's exciting synth work from the leader. Ms. Parlato contributes the lyrics to the final cut, "Rebirth" - her quiet voice opens the song with just keyboard and bass accompaniment. She enunciates every word before the bassist delivers a heartfelt solo over piano and brushes. When Simon steps out for his solo, Imani Winds enter with its individual voices adding emotional depth to the proceedings. 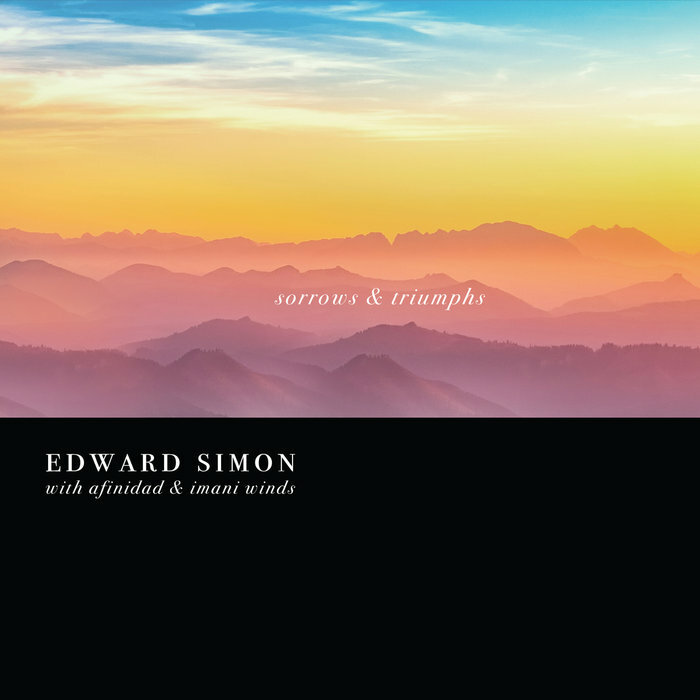 "Sorrow & Triumphs" really is quite triumphant. It is music that frees the spirit, music that is, at times, dreamlike and at other times, rooted to the rhythms Edward Simon heard growing up in Venezuela. The impressive melodies, the intelligent arrangements, and the delightful musicianship are all good reasons why you should dig into this sublime recording. 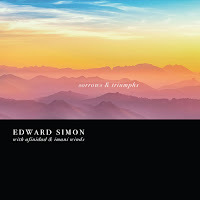 For more information, go to www.edwardsimon.com.